For author and adventurer, Heidi Siefkas, public speaking came as second nature. 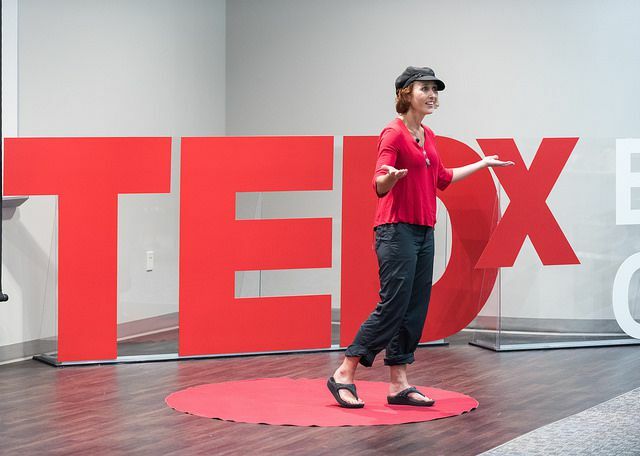 As if storytelling were part of her DNA, Heidi inspires others to overcome obstacles and live an adventurous life not only on the page, but also from the stage. Heidi spent the majority of her childhood summers with her father, who was a professor in speech and theatre. Through this, Heidi learned much about publicly sharing her exceptional experiences with others, creating bonds with varying groups of individuals by opening up and allowing viewers to connect with her on the fundamental aspects of life in a relatable way. Heidi takes this a step further, with an inspiring stage presence and confidence gained from many years of firsthand career experience. From preparing others speeches early on in her career to jumping into the driver's seat to deliver them herself, Heidi has learned and mastered the full spectrum of being a public orator. With calculated emphasis on main points and well-timed humor, she keeps audiences engaged and anticipating what’s to come. Heidi's audiences remember her witty anecdotes and wisdom long after the event. As a resident Ft. Lauderdale, Heidi offers her inspirational speaking services throughout South Florida for businesses and organizations alike, as well as, across the country and internationally. Contact Heidi today for your next public event and to obtain a new perspective on successfully navigating through life's obstacles.